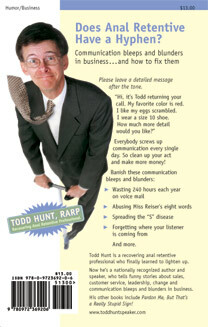 Communication Bleeps and Blunders in Business . . .
call. My favorite color is red. professional who finally learned to lighten up. Now he’s a nationally recognized author and speaker, who tells funny stories about sales, customer service, leadership, change and communication bleeps and blunders in business.